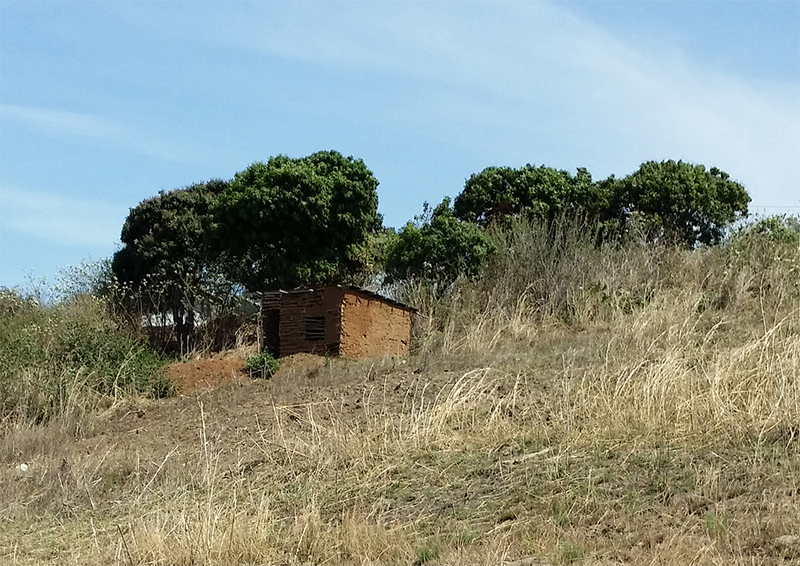 The official revealing of Grace AME Church, in Umlazi. 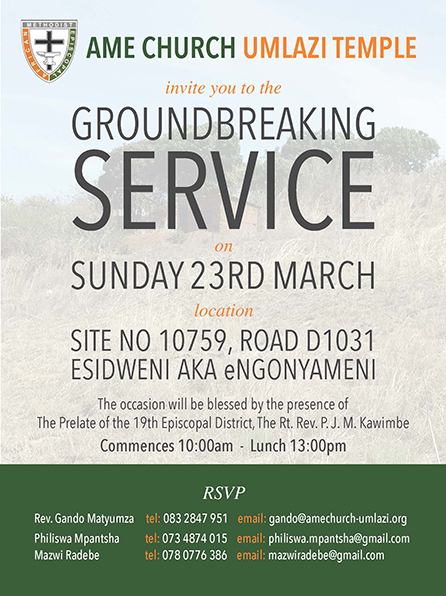 Umlazi Grace AME Church are proud to announce the official revealing with a ‘Ground Breaking Service’ on Sunday 23rd March 2014, commencing at 10.00am with lunch at 13.00pm. The occasion will be blessed by the presence of The Prelate of the 19th Episcopal District, The Rt. Rev. P. J. M. Kawimbe.